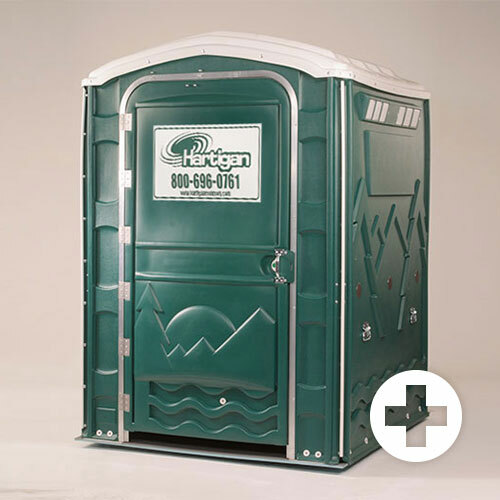 The Hartigan Company delivers and services portable toilets in Central Vermont, Northern Vermont and Northern New York locations. 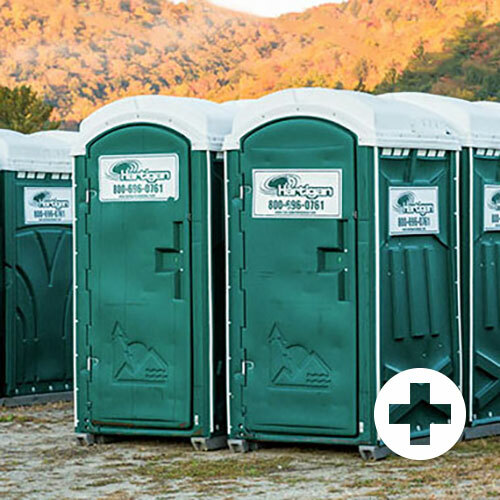 Standard and Enhanced Access portable toilets are available for commercial and residential uses as well as construction sites and special events. The Standard unit employs an aluminum door frame with a spring and cable closure system. It has a 60-gallon tank and is considered a serviceable, basic unit ideal for construction sites. 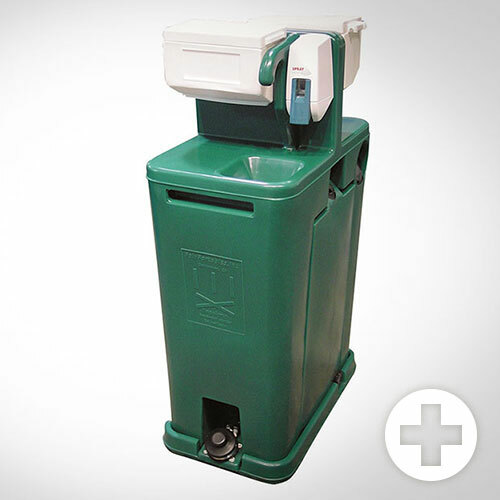 The Enhanced Access Unit (EAU) provides convenient access for persons who require or prefer a large portable restroom. This unit can successfully be used by patrons in wheelchairs, though it is not ADA-approved. The EAU includes full-width handrail assemblies that overlap most corners, adding strength and rigidity to the unit. A pneumatic door closer is balanced by a heavy-duty cable spring for comfortable, consistent, and predictable access. 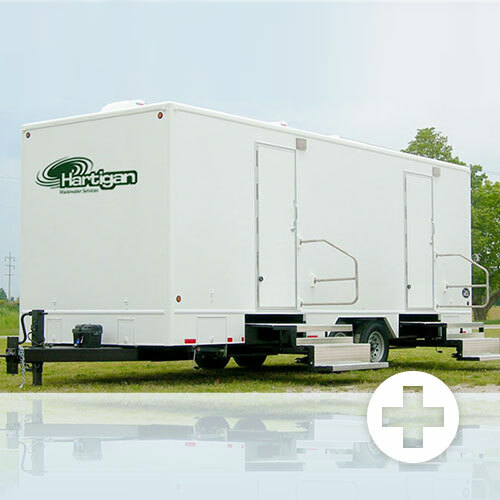 The Crowd Pleaser is a full-sized, luxury restroom trailer with individual, fresh-water flush toilets, hand wash sinks, mirrors, heat and air conditioning, and a radio. This unit requires electrical and water connections. The Tag Along is a versatile stand-alone hand wash station that is perfect for small to medium-sized events. The Tag Along provides the peace of mind associated with hard-sided fresh and gray water tanks – no risky bags or bladders that can burst, contaminating your tanks. In fact, the fresh water compartment is easily removed for regular sanitizing. The 24-gallon fresh and gray water tanks are sufficient for small to medium-sized events or work sites. Dual spigots with high-capacity spray, soap dispensers, and two large lockable towel dispensers provide all of the necessary amenities. Each basin is designed to accommodate a complete forearm washing. Large cutouts make the powerful foot pumps easily accessible – even for users in heavy work boots. We are often asked how many toilets should be rented for an event or party. We normally recommend 1 unit per 100 people for smaller gatherings. 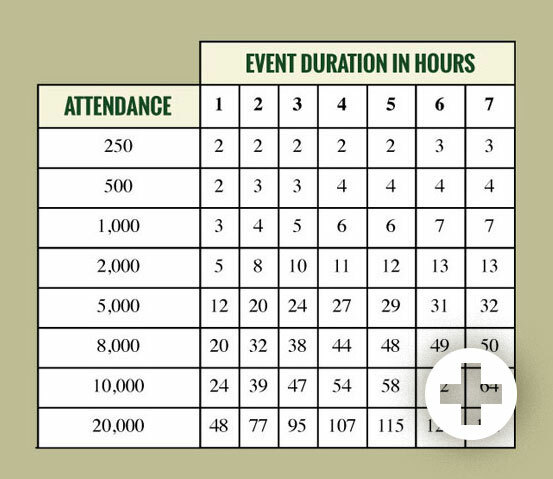 For a larger event, this chart is very helpful in determining how many toilets may be required. Notes: If alcoholic beverages are served, increase the number of units by 13%. 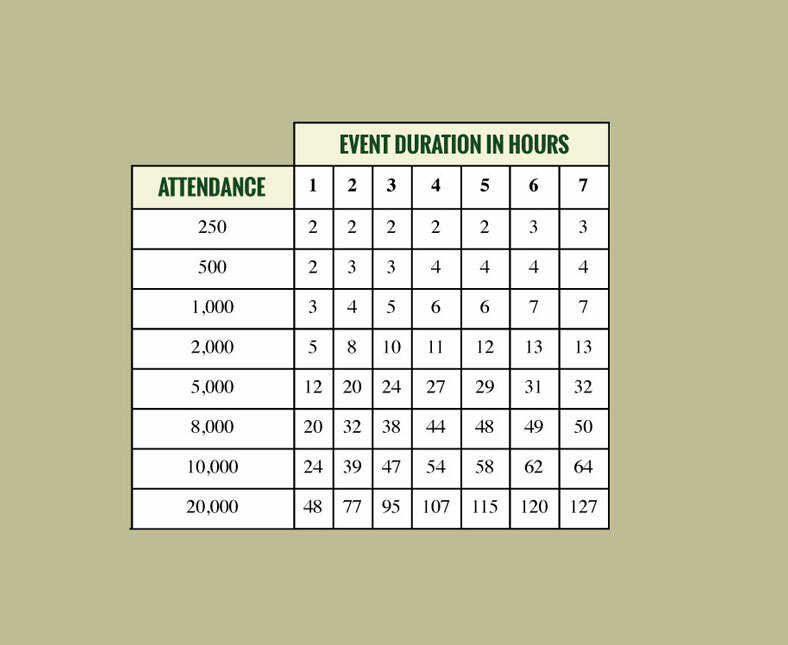 If the percentage of women in attendance increases beyond 50%, increase the number of units by that same percentage.